Jaden Rose Guitars, based in Cambridge, specialises in 6, 7 and 8 string electric guitar designs that make the most of the natural beauty of the highest quality tonewoods. A unique finishing technique further enhances the guitars, reminiscent of the high lustre seen on centuries-old fine English Oak furniture. 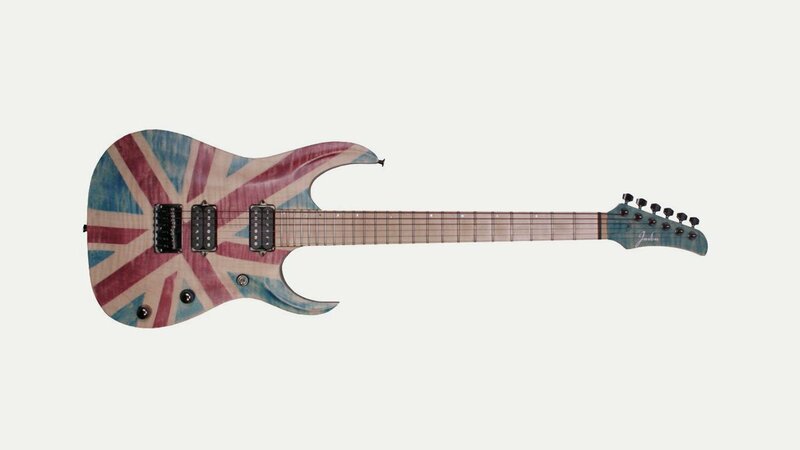 The company was founded in 2006 by Jaden Rose, who decided to design his own guitar due to his frustration as a player by the limitations of production guitars that just missed the mark. nstead of making just one Jaden set up his own mini factory complete with brand new tooling and CNC machinery to ensure perfect replication and precision every time. Working only with the finest raw materials every guitar is made entirely by Jaden. Nothing is commissioned or sub-contracted to guitar factories abroad and all hardware is of the highest quality. Jaden Rose Guitars produces no more than 200 guitars a year and every one is set up and checked by Jaden personally.